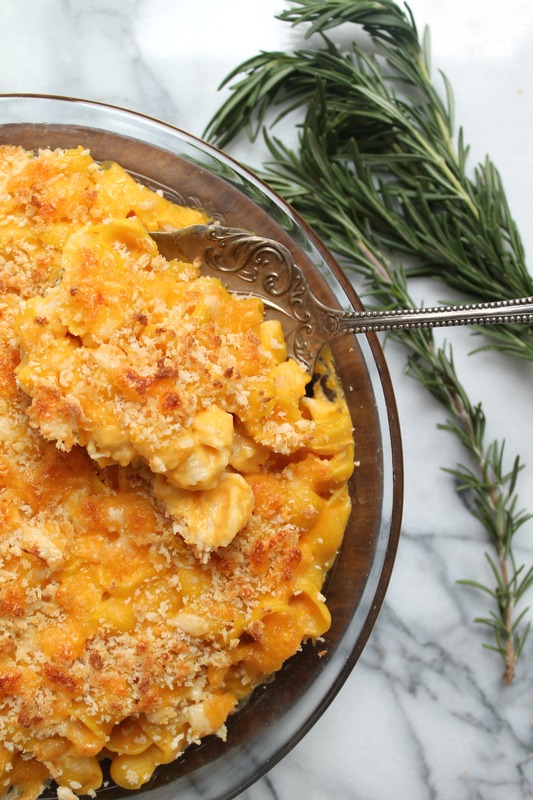 Butternut squash mac and cheese is packed with vitamin-filled butternut squash. It allows you to reduce the amount of cheese (gasp! ), if you’re watching your fat intake. Or if you just want to try a tasty new version of macaroni and cheese, this is it. Now, don’t go on thinking I’ve become a fat-free blogger that actually cares about the amount of calories she consumes. I have not. But there are times when the body needs a rest – from all the decadent restaurant meals, the comforting at home cooking, and the endless snacking. Thus, the creation of this Butternut Squash Mac & Cheese. For when you need something lighter but still comforting. For those times when it’s that time of month and you NEED carbs – this will seal the deal. This macaroni and cheese will give you all the feels, I promise. It’s creamy, it’s cheesy, it’s lusciously smooth – and with a crisp breadcrumb topping, what’s not to love?! The sauce is like making a regular cheese sauce – minus the crazy amount of cheese. The butternut squash puree adds the bright gorgeous color and such a delicious, earthy flavor. Granted, I could have used fat-free milk in this recipe, but that stuff is nasty and I’d rather have my full-fat delicious whole milk than a chemical ridden “milk”. So give this recipe a try and I bet that you won’t be disappointed! It’s the perfect meal to eat while cuddled on the couch on a cold night. Because New England has a couple more weeks of winter, I’ll get in as much comfort food as I can now. Happy eating, friends! 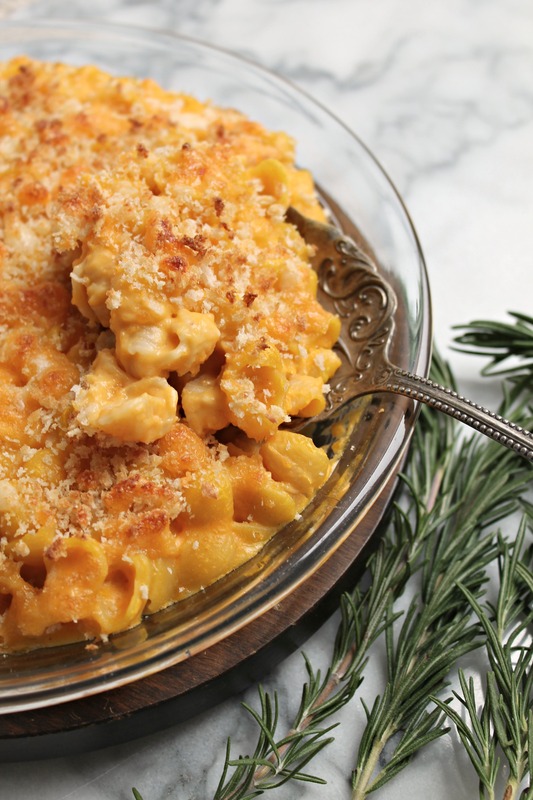 Butternut squash for the mac and cheese win! Using whole ingredients like whole wheat pasta, coconut oil, and whole milk - while saving calories on the amount of cheese thanks to the squash puree, makes this the perfect pasta dish! Cook pasta al dente and set aside. In a large saucepan, melt the coconut oil and whisk in the flour. Cook for 1-2 minutes and add the milk and squash puree. Let thicken and add cheese. Season with salt, pepper, and nutmeg. Fold in the pasta. Place in oven-safe pan and sprinkle with breadcrumbs. Bake for 5 minutes under broiler until golden brown. Note: To make squash puree, either roast or boil squash until tender, remove from water if necessary and glen until smooth puree is achieved. Espresso-Scented Coffee Cake & Giveaway!